As the northern summer winds down to once again a steady trickle, Latin America continues to WOW its visitors with a kaleidoscope of wonderful sights. High tourist season may well be over by September but the continent is still as resplendent as ever, if not more so. Return savvy visitors rate this as the best travel month of the year, as the hot and steamy parts in the northern hemisphere start to cool to a blissful level, whilst the freezing southern regions start their yearly melt. For discerning travellers lucky enough not to be dragged into the back-to-school and back-to-work routine, September spells utter perfection, as both autumn (in the north) and spring (in the south) means the entire continent absolutely blooms with colour, fresh air and a revived atmosphere. Want to dodge the crowds and still experience all the marvellous treats Latin America has in store? Then let September be your chosen month to come and discover this magical continent. It’ll be the best travel decision you’ll make all year. As the great majority of European and North American visitors head home en masse, you’ll find the splendid Mexican Riviera and flurry of archaeological sites delightfully devoid of big crowds and with the added cooling effects of the first rains of the year. This can make for exceptional vacations: put up with a bit of rain and, in return, you’ll bag great deals on accommodation and excursions and have to contend with smaller crowds, all over. Rain is what will scare away many from the Caribbean (this is the start of hurricane season) from September onwards, but discerning travellers with time up their sleeves will relish the priceless pros. The chances of getting completely washed out on your vacation are actually minimal with most days displaying a predictability that makes sightseeing and touring more than possible: warm and humid mornings will climax in a short-lived but intense mid to late-afternoon downpour. In September, Mexico’s Yucatan Peninsula receives, on average, just 10 days of rain, but if you swap your Cancun beach escapade for one in Puerto Vallarta on the Pacific Coast instead, you’ll dramatically decrease your chances of rain. Mexico City, which sits at a height of over 2000m, is never too hot and is always a wonderful springboard for onwards adventures whilst, at the same time, provides a sensational intro into the captivating culture, history and cuisine of this rewarding destination. Include a few days in the capital before heading off on a whirlwind journey of Mayan discoveries, before soaking up the rays, warm seas and delectable seafood delights on one of the country’s many seaside hubs. 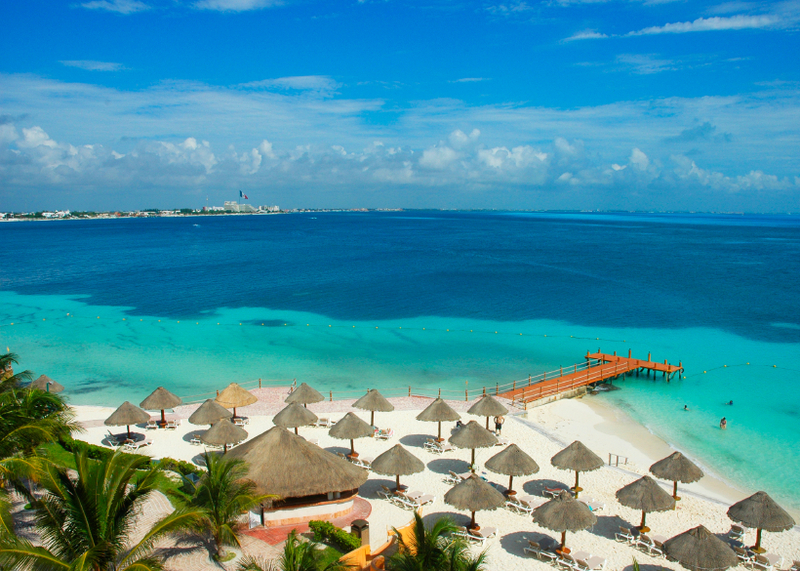 Want to discover more of Mexico, for less? Then check out our Mexico tours and plan your September journey with us. 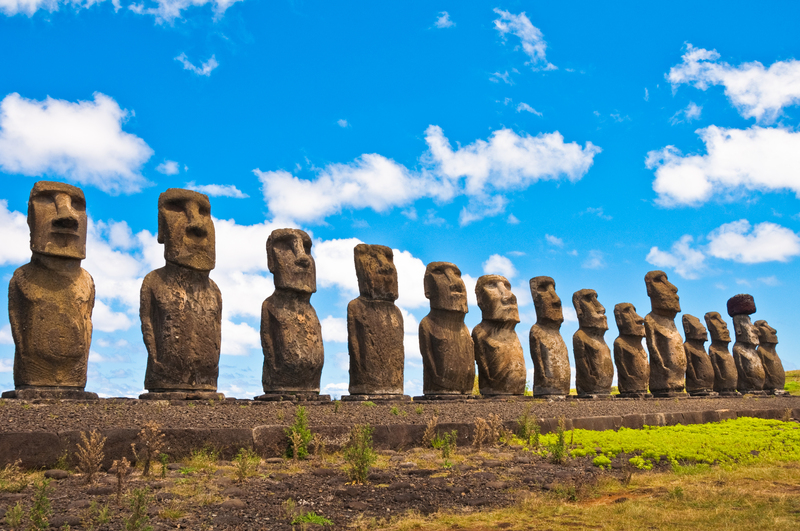 Chile’s enticing and mysterious Easter Island (Rapa Nui) actually boasts a subtropical climate making it a surprisingly ideal year-round destination, despite the fact that many consider this gorgeous southern Polynesian speck of land inhospitable, perhaps due to its remoteness. Yet although temperatures are actually mild all year, heavier rains between June and August makes sightseeing, and particularly hiking, a little more difficult. As September progresses, however, Easter Island dries up and flourishes with wildflowers, making this a particularly rewarding month to visit. This is especially pivotal as this is a small and compact isle and exploring it extensively by bicycle is the most popular activities of all. Keen to discover the mystical giant moai statues of Easter Island? Check out our itinerary ideas right here. High-altitude Lake Titicaca is a visual spectacle all year but if you were to visit at the height of winter you would need to contend with eyeball-numbing temps. So visit in September instead, a month when daytime temps still remain bearable (daily averages are 23 C) and skies are crisp and clear. If coming from Peru, include a couple of nights in Puno so you can take day trips to visit the floating Uros reed islands and picturesque Taquile. Then, easily and swiftly, tackle a drive of just a few hours and cross the border into the Bolivian side, where you can stay in super-charming Copacabana. This way, you’ll experience the best of both sides of the gargantuan lake and enjoy spectacular views on foot, by boat and by road. Lake Titicaca is one of the stellar highlights of the Andes Mountains and makes for a fabulous connecting point on longer trips through Peru and Bolivia. 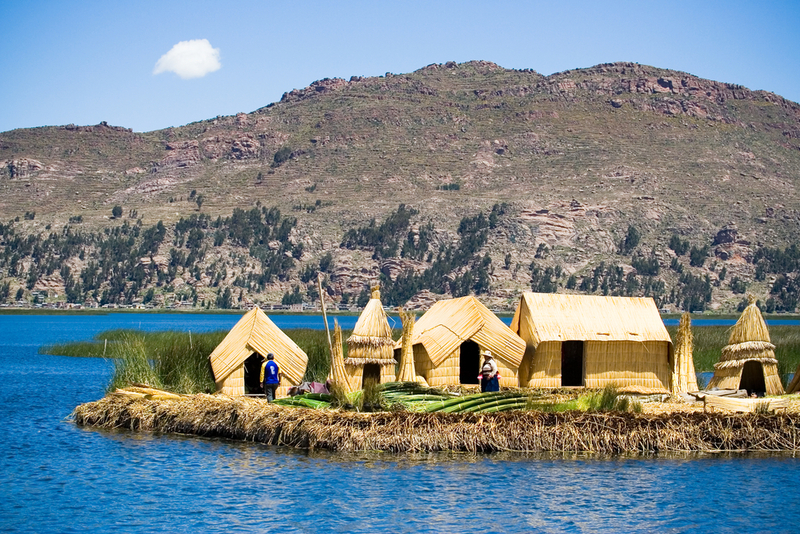 Want to see how easy it is to add a visit to Lake Titicaca to your itinerary? Then see how we do it, right here. Much like Lake Titicaca, Machu Picchu – and Peru in general – is in the midst of its second yearly shoulder season, which means lower prices, smaller crowds yet still very good climates for extensive explorations. September really is the month to visit the main attractions in Latin America, especially in the south and definitely if you’re looking to tackle some serious hiking in the Andes. This is the last dry month of the year, so whether it’s to do the Inca Trail or Lares trek, or explore any other Andean destination on foot, this is really the last month of the year that offers predictably dry days. You may experience some rains but there is no chance of floods or mudslides this month, so if you’re on the lookout for a good value-for-money and rewarding time to discover Peru…September is it! 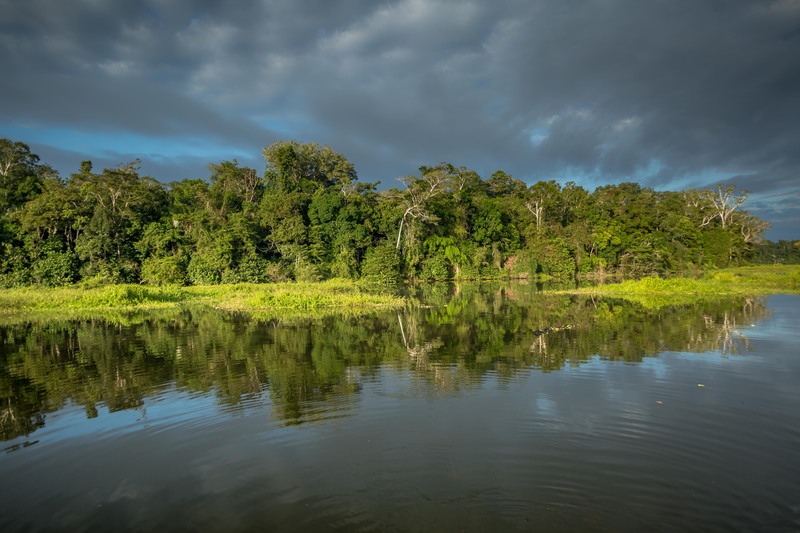 Peru’s Manu Biosphere Reserve, in the southern region of the Amazon, is experiencing the height of its dry season in September, making wildlife watching particularly rewarding. Manu is one of Peru’s premier rainforest reserves and the main reason for this mention is that this remote corner of the Amazon is best reached from Cusco, the main base for Machu Picchu visits. Planning an all-encompassing and unforgettable tour of Peru which includes Lake Titicaca, Machu Picchu and the Amazon is just superb at this time of year. Genius plan, you say? We think so! Read more about Peru’s Amazon Rainforest and come see for yourself just how diverse this country really is. Oh Peru…how we love you! Check out all the Peru itineraries you have to choose from, right here. Autumn reaches the far north of our planet in a tremendously colourful fashion, making Arctic expeditions not only still possible but also incredibly worthwhile. In the vast and open tundra, landscapes are drenched in glorious auburn hues making for fantastic photography, especially as the sun begins to shift lower, offering long and incredibly colourful sunsets. September is quite an extreme month to visit and your experience will be very different, depending on how far into the month you choose to visit. In the first two weeks, you’ll still be able to indulge in extensive hiking in Greenland yet as the month progresses you will notice a dramatic drop in temperatures. In the last week of September, however, you’ll have the chance to witness first twinkles of the awe-inspiring Northern Lights as the region descends into darkness once more. 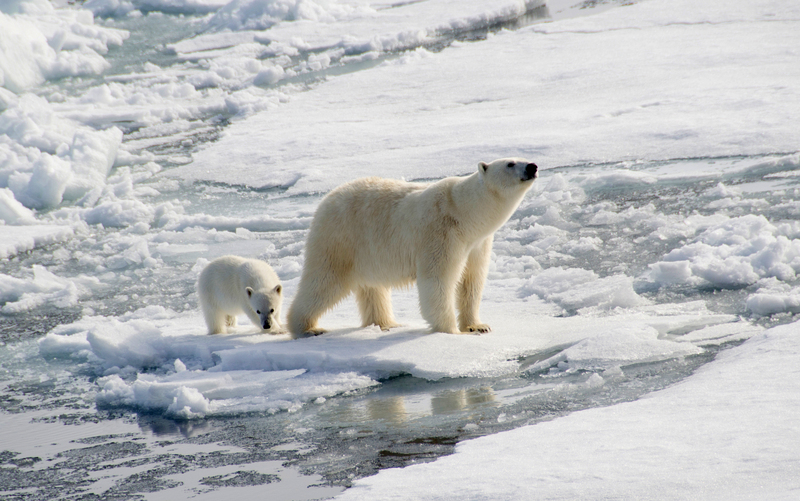 From glimpses of polar bears across blinding white horizons to the breathtaking Aurora Borealis, our Arctic Cruise itineraries offer a multitude of unique experiences. September is one of the most distinctive months of the year to visit Latin America and if that coincides with your travel plans then rest assured you’ll find a world of amazing experiences, no matter where you go. For more travel inspirations and to see just how easily we can plan a bespoke tour of Latin America, and beyond, simply contact us, right here.